Rieker Himalayas 67958 women's velcro sandals. Comfortable and stylish with a mock giraffe print upper and contrast coloured side panels. The double velcro fastening allows for adjustability over the toes and over the instep and provides a secure fit when walking. An elasticated ankle strap means the sandal can be slipped on and off with ease while adding more adjustability. Rieker's Anti-Stress technology provides shock absorption and flexibility while the cushioned insole provides lasting comfort, making it ideal for all day wear. 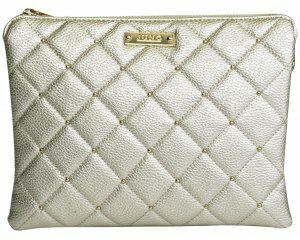 Very on trend! 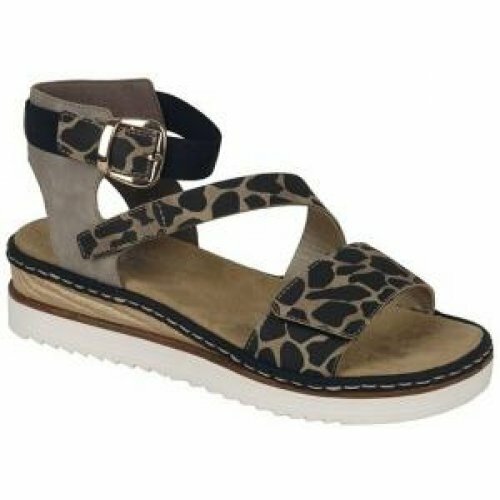 Rieker Himalayas has a chunky white sole and animal print uppers, a highly wearable summer sandal. Available in brown multi from a size 36-41 (3-8).